DOUBLE THE DELICIOUSNESS: The Duo offers two times the fun! 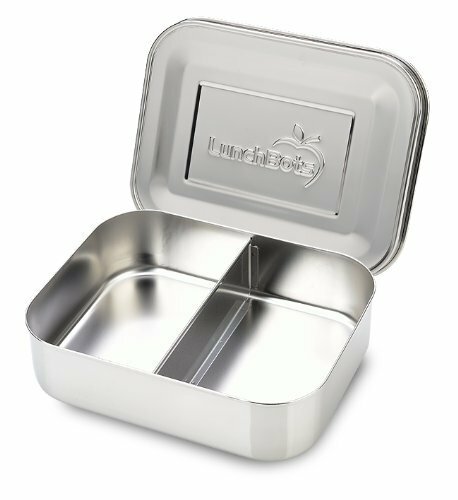 Measuring 6" x 5" x 1.75", our stainless steel lunchbox was designed for half of a sandwich paired with your favorite snack. From PB&J with carrots on the side to a veggie wrap with apple slices, both kids and adults will love the endless possibilities. PORTABLE CONVENIENCE: Whether you're packing healthy snacks or a full meal for your little one, these are the best food storage containers for traveling, family car trips or eaters on the move! The Duo was designed for variety, however, because the lids and dividers aren't watertight be sure to pack only dry foods. SAFE AND DURABLE: Made from the highest quality 18/8 stainless steel, this is the best container for packing healthy food to go. Even with our colorful dot covers, 18/8 stainless steel is all that touches your food. And because they're virtually indestructible, they're great for any on-the-go lifestyle.